Additionally, if you’re replacing or installing new vinyl siding in the winter, you should use extreme care. It’s not impossible to install vinyl in cold weather, but the brittleness does make the whole process more difficult. Also, like any material, vinyl contracts in cold temperatures, which can cause issues after the weather warms back up. A standard-sized twelve-foot-long piece of siding can expand by as much as ⅝ of an inch as temperatures rise. That may not sound like a lot, but it makes a big difference to your installer. If possible, it’s a good idea to put off vinyl siding products until the spring or fall, when the weather is more amenable to your materials. But if you must engage in a siding repair in cold weather, be sure to pick an experienced installer. Your contractor should have the know-how to cut pieces for cold-weather installations so that they don’t buckle or bump up against window casings when the temperatures warm up and the vinyl pieces expand. Additionally, they’ll need to nail the pieces with a little room to allow them to expand outwards as well. 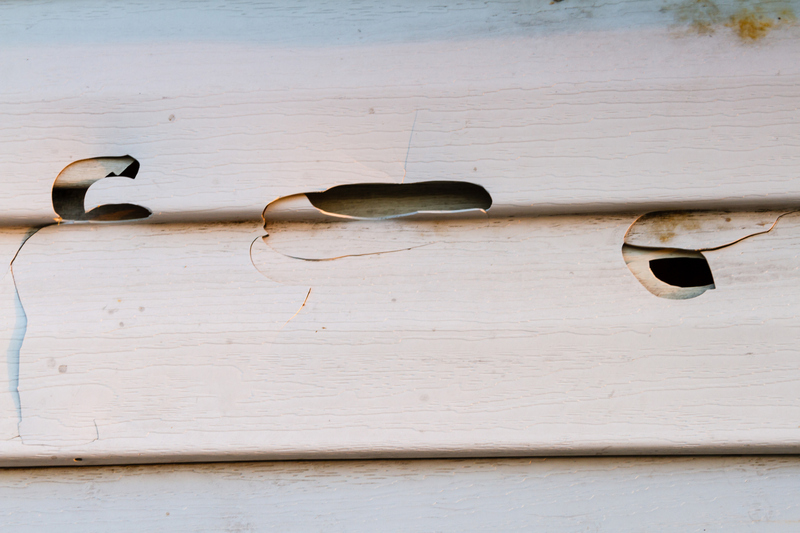 Blow-offs can happen to any siding, of course, especially if it hasn’t been properly nailed in. However, vinyl is particularly lightweight—which makes it easier for sections to pull off. Often this occurs because the installer nailed the pieces in too tightly. Then, when temperatures rise, the siding buckles and pulls away from the side of your home. That makes it even easier for the pieces to lift off and blow away in the wind. Obviously, your first line of defense is to hire an installer who knows their stuff—they’ll understand how much space to leave to accommodate material expansion. But you can also perform a seasonal inspection of your home’s siding, as well. Buckling, rippling, and distorted siding is pretty easy to see with a careful visual inspection. Have any suspect pieces looked at by a siding contractor, and get them replaced before bad weather comes on. On the other hand, vinyl achieves some pretty high energy efficiency numbers, meaning your home will be nice and cozy throughout the winter months—and your utility bills will benefit, as well. But the quality of the materials can make a massive difference here—and you can usually gauge the quality by reading the packaging or marketing materials accompanying the product. Look for siding that measures.042 to .045 inches thick—the thicker the pieces, the more durable they’ll be. Also check out the product’s warranties and weather-resistant properties. Materials that come warrantied for long periods—anywhere from 50 years to a lifetime—typically have better reputations for quality. 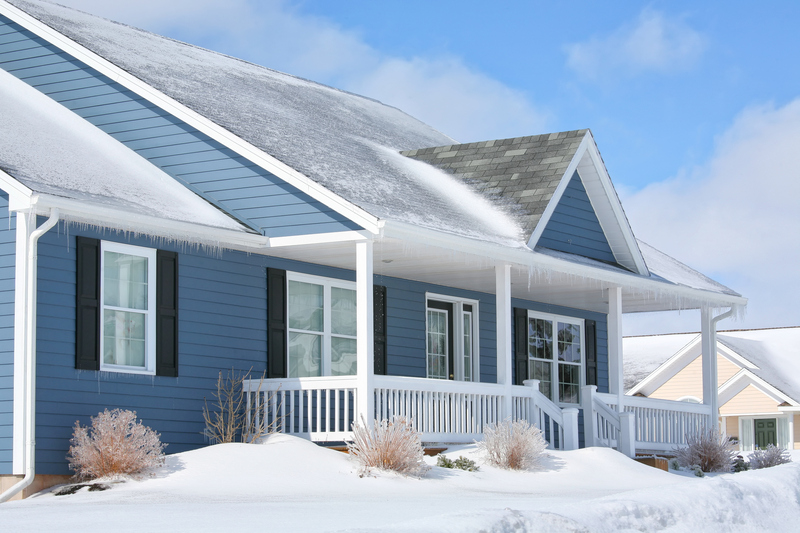 If your home regularly experiences very frigid temperatures, however, and you’re worried about the lifespan of your siding, fiber cement offers a nice substitute for standard vinyl siding. As a mixture of wood fibers, cement, and silica, this product can sometimes achieve better durability, and doesn’t have the same problems with expansion and contraction that we see with plastic. It also deals well with moisture for homes in snowy climates. You can combine fiber cement with insulation to improve your home’s energy profile as well. Unfortunately, however, you’ll have to pay for these benefits. Fiber cement typically costs a bit more per square inch than vinyl. All in all, the problems with vinyl siding are minimal and can be avoided with proper installation. Finding a contractor who knows how to handle these materials is crucial, so make sure to thoroughly vet any installer you hire by reviewing their past work and references, and asking good questions. If you’re careful here, your home’s siding will handle the elements with aplomb—no matter how hard those winter winds blow.